You’ve got something important to say. You’ve got a story, an idea, a real message that you know will be a game changer for other people. You’ve got the chops and the stamina to get all these ideas out on paper (or at least on a Google doc). You are a writer. It’s your passion. And now you want to make this your career. The problem? You can’t get anyone to listen to you without establishing an online presence. Enter: the author website. Like it or not, this means that if you’re a writer, you have to have a website and a blog to build an audience. It’s an unfortunate reality that with the advent of social media that you have to build your own audience before most publishing houses will consider your book proposal. Even if your main concern is telling good stories and hopefully inspiring people along the way, you have to learn how to be your own marketer and promoter if you want to build a following that will get you noticed. But where do you start? 1. Beautiful Aesthetics. Strategic Layout. We live in the era of Pinterest, which means people know what pretty looks like. 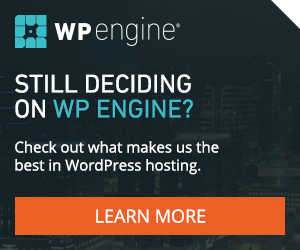 You can’t have just a basic WordPress setup anymore. It’s got to be branded, beautiful, and anything but a bore to look at. But, even then, pretty isn’t enough. Unlike photography or lifestyle blogs that focus on image based content, you want your words to be in focus. Your layout must draw the eye and make people want to peruse your content. That’s where strategic layout comes into play. Both Jon Acuff and Jeff Goins, two very successful writers and authors, have their blogs at the very top of their main pages. From the moment you hop onto their page, you see their latest and most popular posts. When selecting or having your site built for you, make this a priority. Having your best and latest content is what is going to turn readers into followers and subscribers, making you a more credible source. This brings us to our next point. 2. Make it easy to stay connected. If you are a writer who abhors social media, I hate to break it to you, you have get over that. In addition to having a beautiful website with a great layout, you’ve got to interact with your people. Building relationships with your readers and followers fortifies loyalty and increases the chance of your content being shared with the countless networks your readers are a part of. And we build that relationship through engaging on social media. The Write Practice, a site created by writers for budding and aspiring writers, does this so well. Between its social media share buttons that follow you as you scroll, to embedded click-to-tweet quotes in the body of it’s content, it’s no wonder that their mailing lists have grown to the tens of thousands. Even more important than that is a way to subscribe to your blog or sign up for your newsletter (because you have a newsletter, right?). Conversion from mailing lists is significantly higher than any other social media platform. Be sure to have a form in your sidebar, close to the top of your site. Additionally, there are plenty of free, third party apps and WordPress plugins, such as Sumome, you can use using tools like MailChimp to manage your subscription lists and creating beautiful emails and newsletters is going serve you well in the long run. 3. You. Lots of you. This is, again, one of those things you’ll need to get used to if you dislike self-promotion. When you are a writer, you are your brand. Your ideas are brilliant. Your content is thought provoking. But people don’t follow ideas or content. People follow people. So that means you wanna look your best. Professional promotional photos make all the difference in the world. Not only will you look gorgeous and have a photo you are proud to display, it does wonders for personal branding. All writers, authors, and bloggers, regardless of genre or niche, have professional shots for their sites. Sarah Bessey does this better than most. Her site feels like it was built around her website, making her site feel more like a living room and less like a computer screen. Don’t be afraid to invest in a local photographer to get a couple of new photos of you. And if you can’t afford a photographer, let your friend with a nice camera experiment. Start small, and as you grow, invest in new shots. Ever been to a website on your phone that was built for a desktop but not for mobile? It’s incredibly annoying and super inconvenient to have to zoom in just to see what a page is saying. That being said, if your site isn’t responsive, meaning it automatically adjusts to the screen or browser window it’s being viewed on, you’re shooting yourself in the foot. Without a responsive design for your website, not only will Google penalize you in search rankings, people just won’t want to stay on your site. It’s inconvenient to zoom into text that should be easily readable. Don’t make that mistake of not having a mobile-friendly site. On that same note, make sure that the images you create and use, any add-ons, widgets, etc. are also responsive and will work properly on your reader’s mobile device. When people come to your site, they need to know exactly what they are getting into. This usually comes in the form of a tagline, or a brief description near the top of your page or on your landing page. The mistake many aspiring writers and bloggers have is trying to talk about everything. You need to find your niche, and usually this is based around whatever you’re an expert at. And it may take a bit of time before you hone in on that, but you should at least have a general direction. Use your site traffic as an indicator as to which direction you should go. If it gets views, if it gets shares, that’s a good indicator of what people want from you. After that, boil it down to a phrase or a few words. The clearer the message, the further your reach can be and the easier it will be to connect with people who will benefit most from your work. Even though writing is your passion, it’d be nice to actually make some money from it, right? As your platform grows, monetizing and advertising your work will be crucial. Be an ebook, an actual book, an ecourse, or speaking engagements, you have to make it obvious for the reader. Donald Miller, Elizabeth Gilbert, and Glennon Doyle Miller nail this on their sites with beautiful banners that sit at the very top of their sites. Don has a video description of his online ecourse. Liz and Glennon both have eye-catching advertisements for their newest books. They aren’t cluttered and the point the reader to where they can purchase the product in just a few clicks. Bottom line: make it easy for your readers to get to the content and products you are creating. Especially if it is something like a free ebook that you’re using to drive subscribers. This is a huge buzzword in today’s culture, but it cannot be overstated the importance of bringing your full self to your website. Again, people don’t follow ideas. People don’t follow products. People follow people. The one thing that top writers, authors, and bloggers all have in common is that they are not trying to be anyone but who they are. They aren’t trying to impress or even trying to pull people in. Honestly, they are just seeking to serve. They want to make people’s lives better. That’s what we do when we bring our truest self to our work. That’s what sustains your passion and what fuels your writing. So, more than anything else, over having a beautiful site, over trying to build an audience, seek to serve the people who are showing up, knowing that you serve them by giving bringing your most authentic, honest self to your writing and content creation. What have you noticed on other websites that you think are helpful for aspiring writers and authors? Anything I missed? Let’s talk about it down in the comments. By the way, Design It Please can help out with everything we covered in this blog. If you are ready to make your website and branding work for you, let’s talk.